Very durable, heavy weight construction with a contemporary design. The unique design allows water to drain between the intersecting rounds. CUSTOMIZE your safety mat. The intersecting rounds make it EASY to cut. 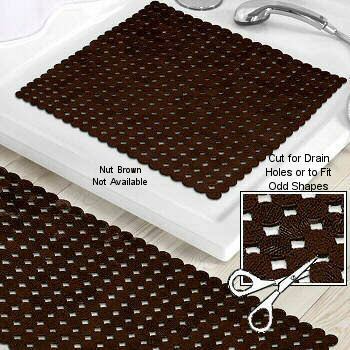 Cut out for drain holes or to fit non-rectangular shower pans.